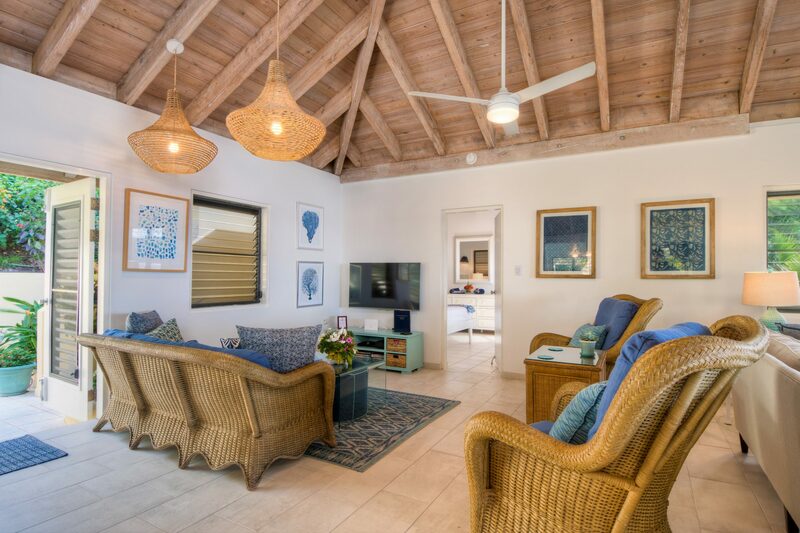 The Caribe House holds a living room, dining room for 10, fully equipped kitchen, bar area, entertainment area with plasma TV and DVD library, wireless internet, a spacious verandah overlooking the sea, plus a deck surrounding the pool. 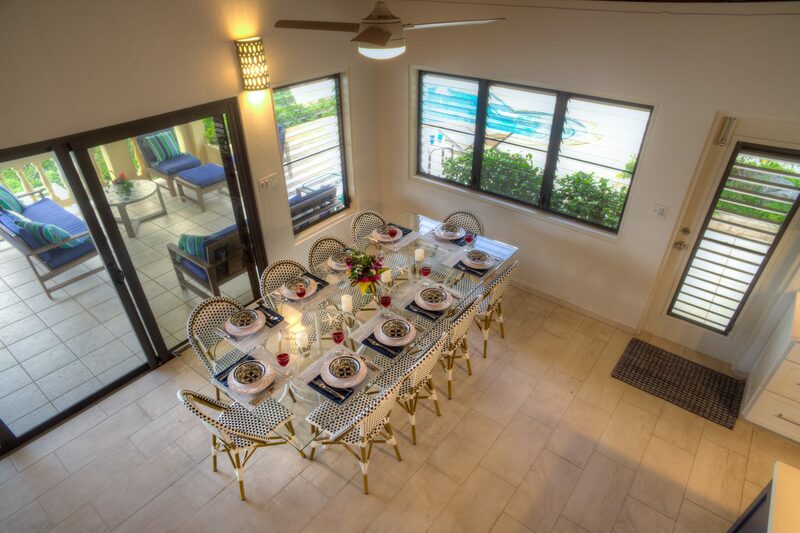 Guests have a choice of dining inside or outside. 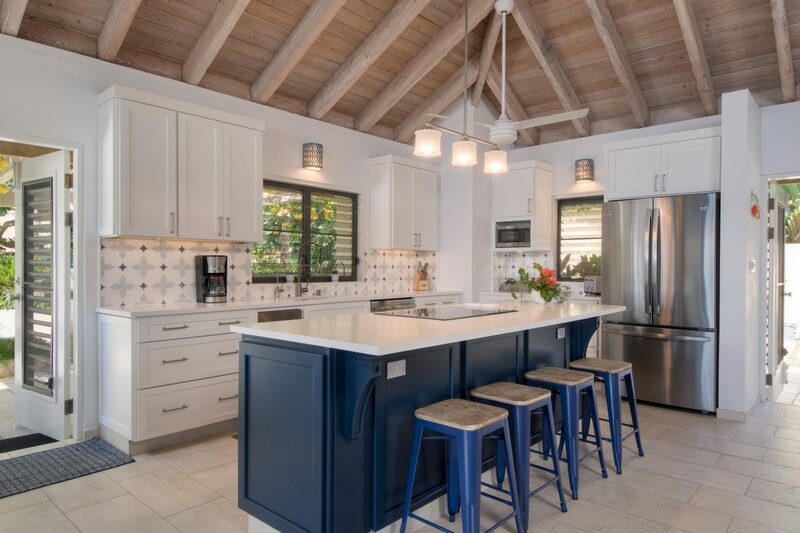 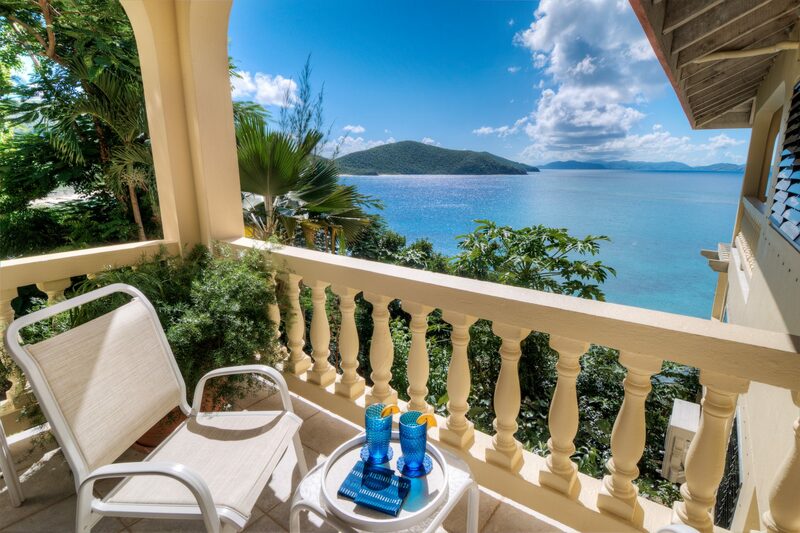 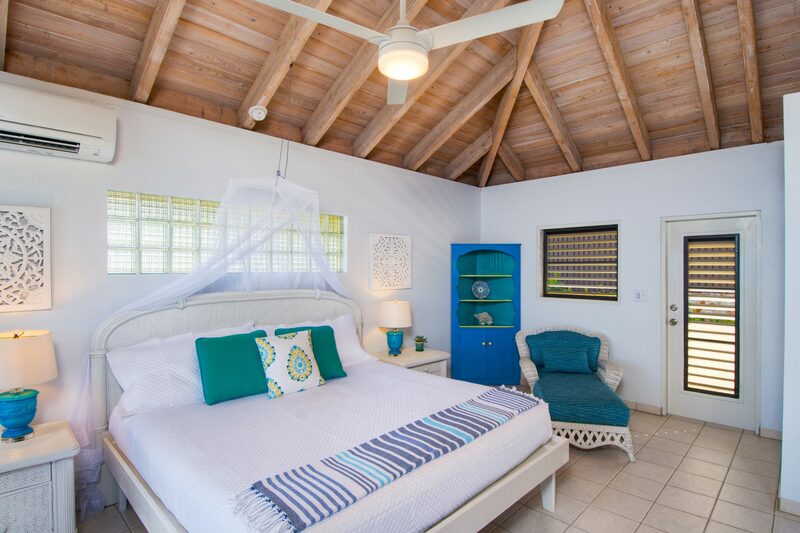 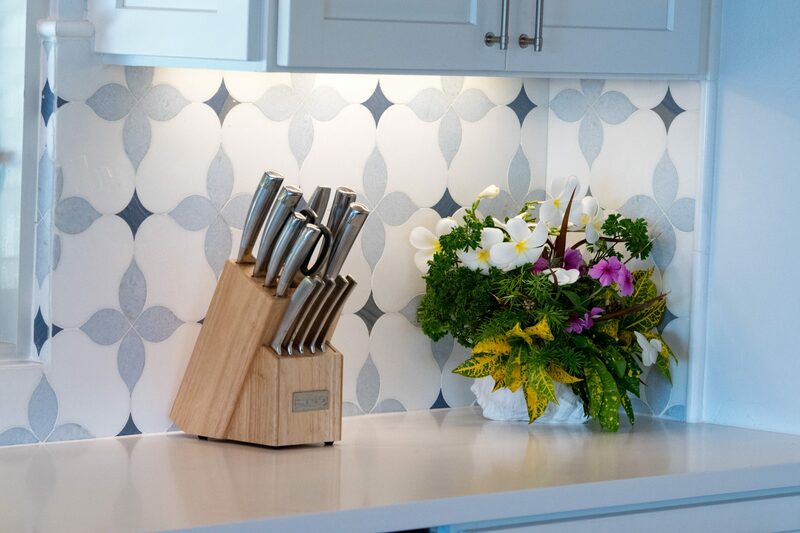 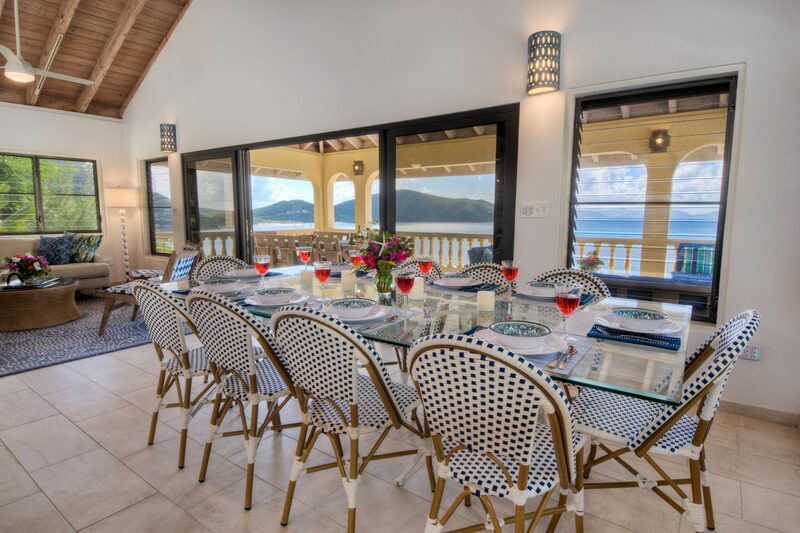 This Virgin Gorda villa rental is beautifully appointed with upscale furnishings in every room. 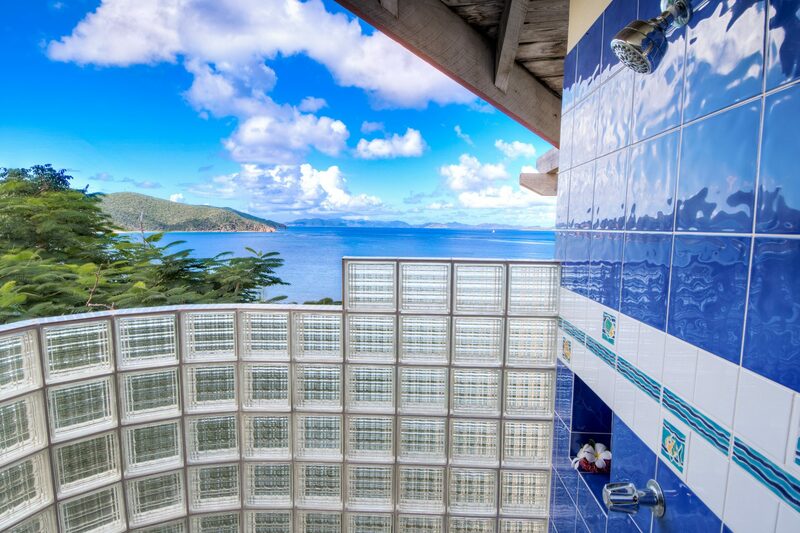 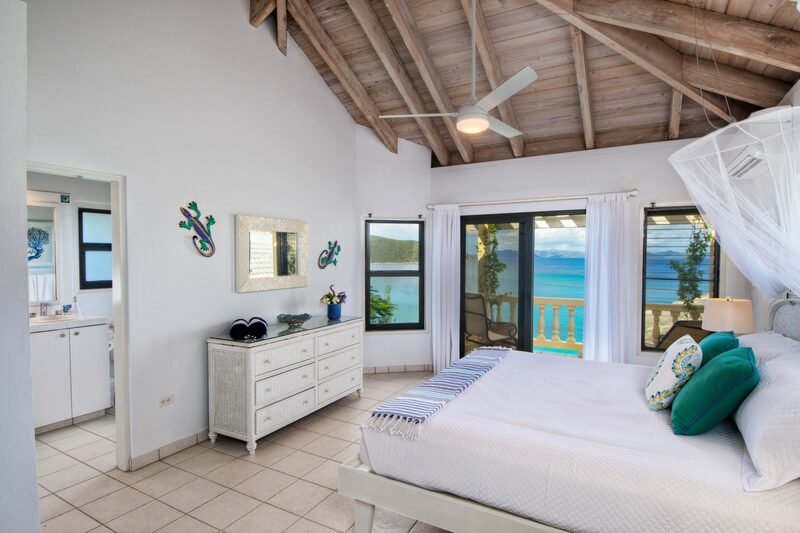 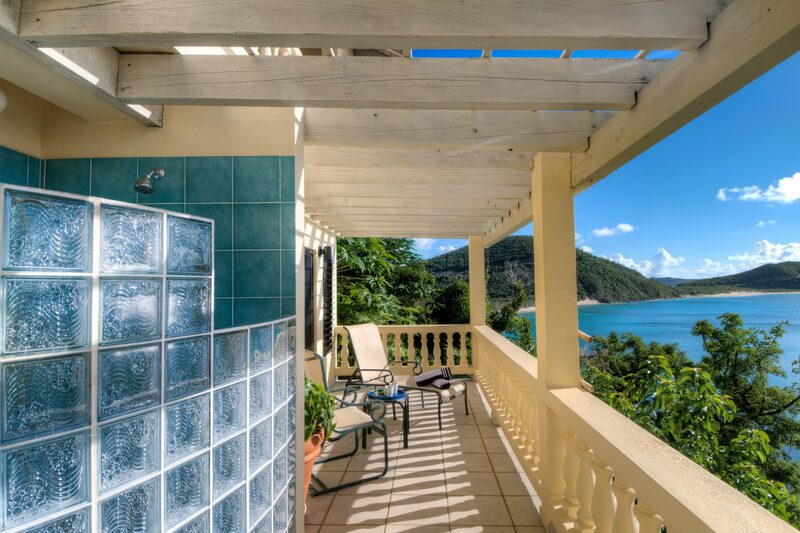 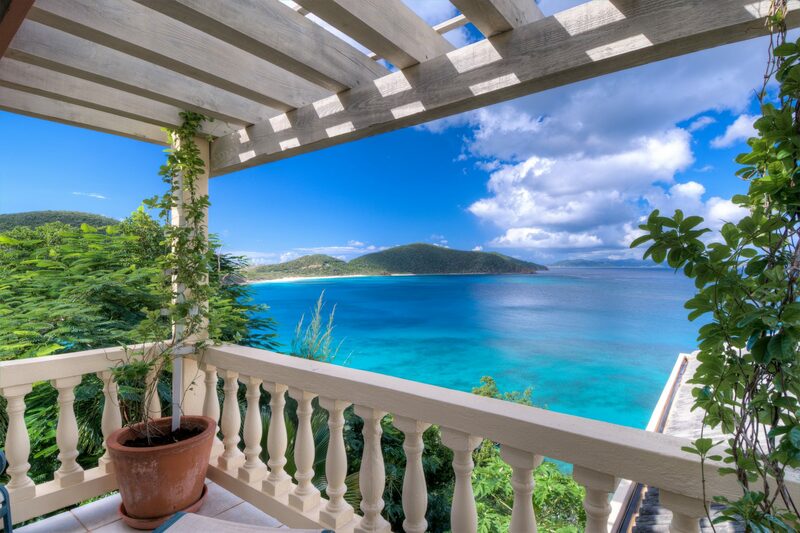 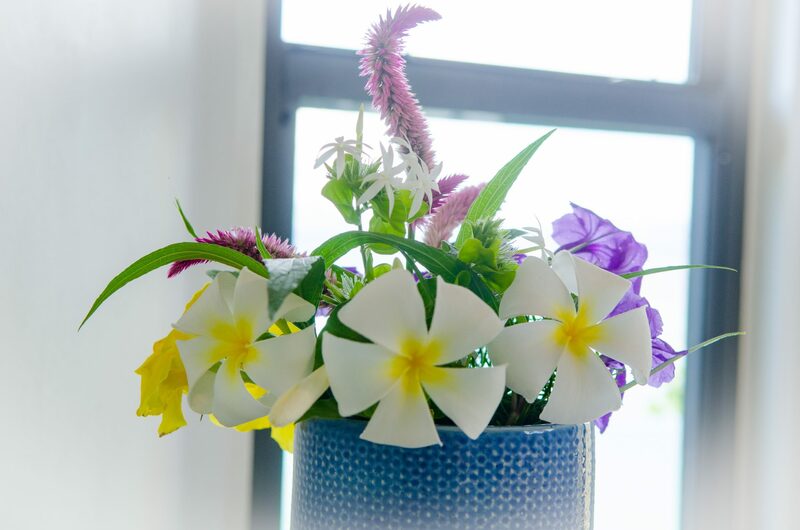 The main villa has three bedrooms, with spectacular views of beaches, BVI islands, and the turquoise Caribbean Sea. 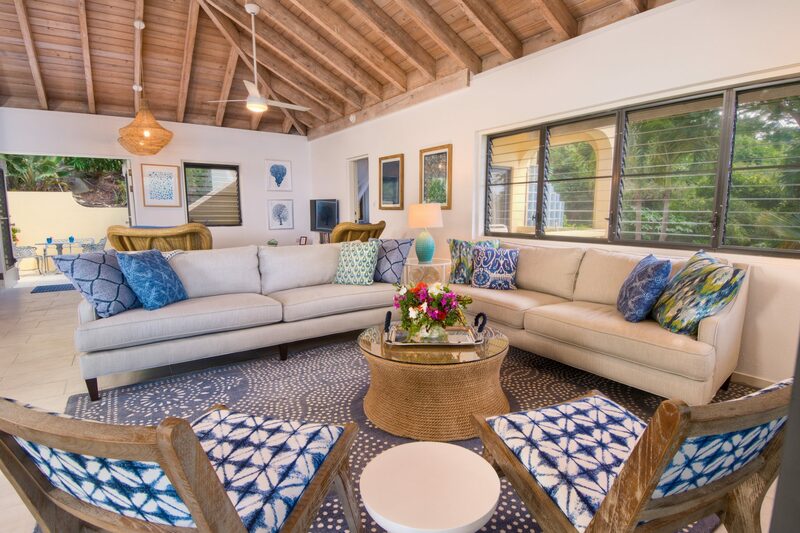 The Caribe Great Room, gourmet kitchen, dining area and spacious seating areas in the living room offer the opportunity to gaze out to sea. 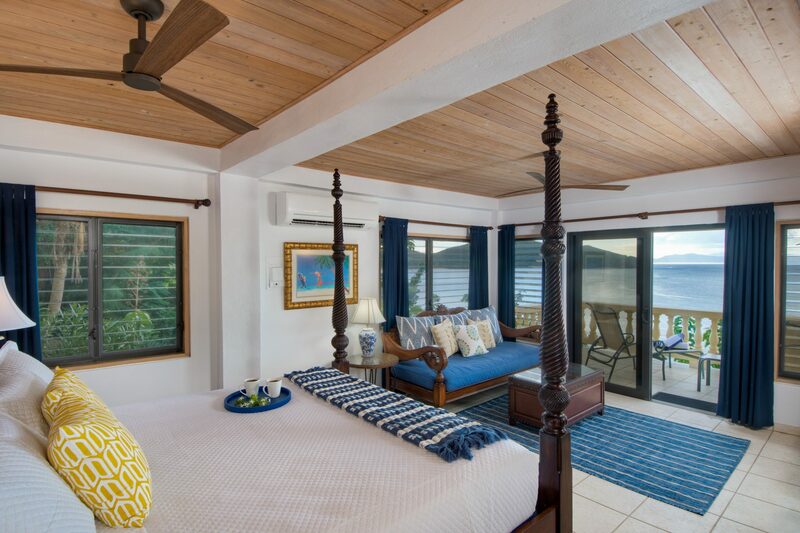 Also, the Caribe 1 Bedroom Suite offers two queen beds, a private deck, and an en suite bath with an al fresco shower. 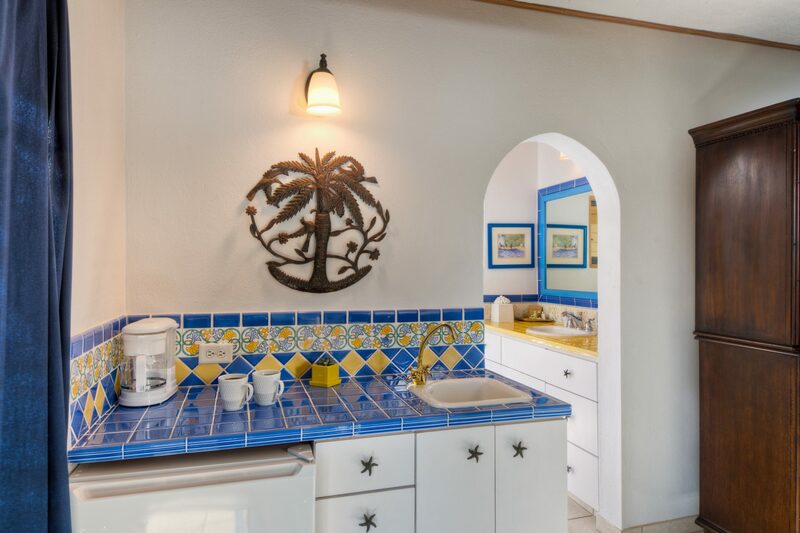 Our new horizon pool is the centerpiece, including a poolside kitchenette, professional gas grill and a guest bathroom. 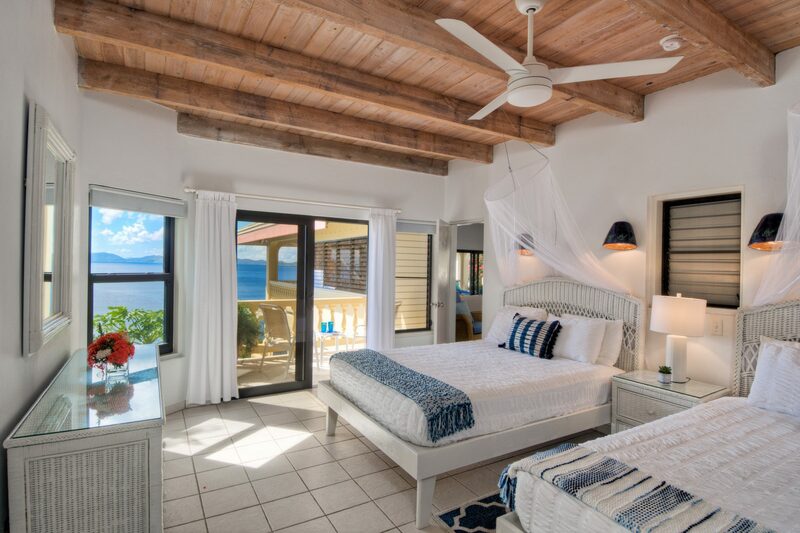 Surrounding patios and the covered verandah offer our guests panoramic views and the glorious sunsets for which the villa is well known.